Happy Saturday to you !!! Are you all geared up to enjoy the weekend !!! I hope you have some plans for crafting also. I have set aside a few hours for making cards !!! 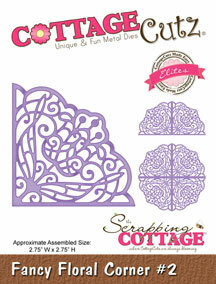 I would like you all to have a look at all the CottageCutz dies , especially the new releases. They are simply fabulous. Today, I am sharing a very simple yet elegant card with you. 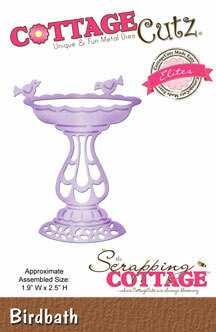 I have always been fascinated with bird baths and so when I saw this die , I was so happy. 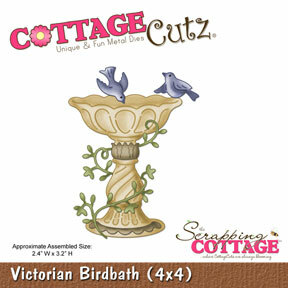 I combined two die cuts CottageCutz die Victorian bird bath and Bird Bath together. This gave me more birds on my birdbath. I have distressed the die cut a little with Distress ink Worn Lipstick. 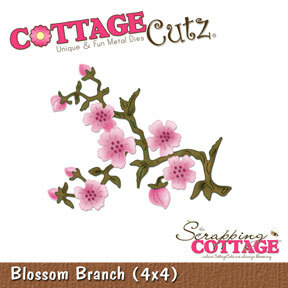 This is another close which shows how I have used the CottageCutz Blossom Branch. I have cut the leaves from the branch and distressed them with Peeled Paint distress ink and arranged with the flowers. 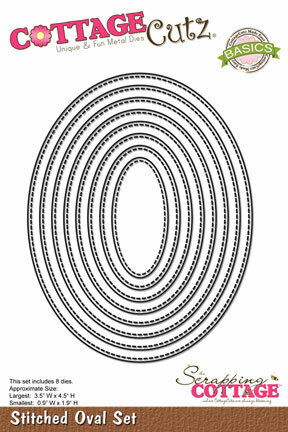 The backdrop is the Swirl embossing folder on white card stock cut to the size 4 inches by 5 inches. Then I used CottageCutz Wide Rectangle Stitched Frame and on top of that I attached the CottageCutz Stitched Oval frame set as shown in the picture. For the filigree background, cut four CottageCutz Fancy Floral #2 die in white card stock, and arrange at the four corners of the frame. 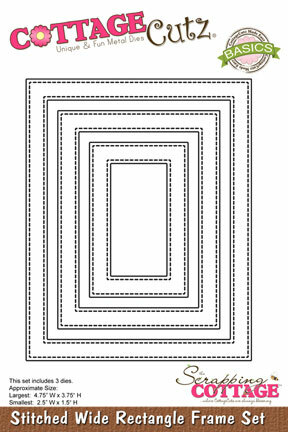 Place the whole thing on a pattern paper measuring 5 inches by 7 inches. Adhere on green card stock folded to form the complete card that measures 7.5 inches by 5.5 inches. Add a die cut from stash for sentiment. Add a bow on the left side. The CottageCutz challenge 4 is going on at the blog. So do share your entries to win awesome prizes. Sweet card love the soft colors. So romantic and very beautiful.